Social Media Alumni Ambassadors for the Cal Poly College of Liberal Arts (CLA) help promote the college by liking posts and sharing content from and to CLA accounts on Facebook, Twitter, Instagram, and LinkedIn. 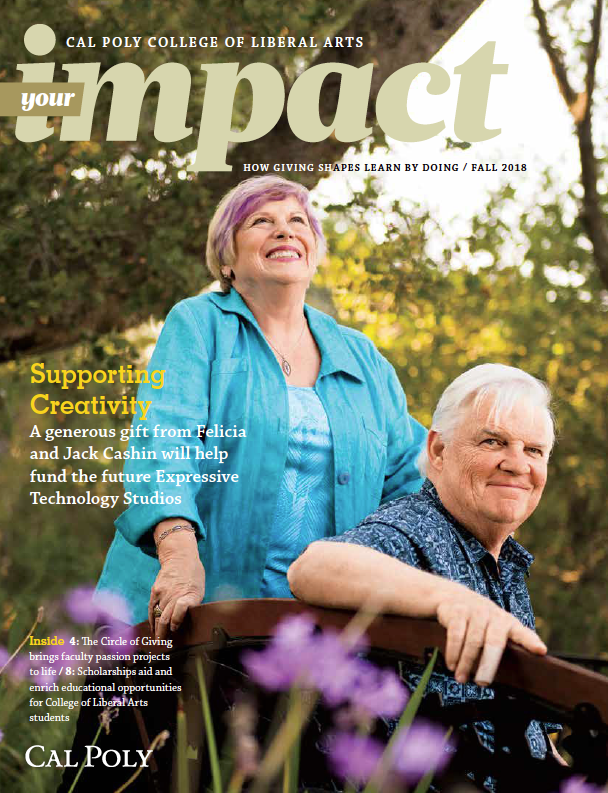 On occasion, alumni ambassadors may be asked to promote specific messages or initiatives, including Cal Poly events, fundraising campaigns or newsworthy CLA stories. Use the form at the bottom of this page, or email CLA Online Communication Specialist Krista Smith to become a CLA Alumni Ambassador today! How often do I need to engage with CLA on social media? How do I find out what’s happening in CLA? By becoming an alumni ambassador, you will get the inside scoop on the biggest news and events from the College of Liberal Arts through occasional emails. Do I need to have an account on each social media platform? No! While we’d love for ambassadors to interact with all CLA social media accounts, we understand some alumni may not have accounts on every platform. No! The idea is that you will share your #CalPolyCLA pride with your own peers/followers. Where can I find CLA on social media? What type of content should I post to the LinkedIn group? LinkedIn group discussion posts may cover professional development topics from interview advice to industry news, and everything in between. Discussion posts are not meant to serve as promotional opportunities for your company, but you of course may post relevant job openings as they come available. “Taking ideas from the Peace Corps and Teach for America, Report for America aims to place 1,000 journalists in local newsrooms in the next five years. Journalism alumni – what do you think about the new opportunity? Link to story. “Kelly Decker, president of Decker Communications, shares some tips to get noticed and win more leadership roles earlier.” Link to story. Questions should be directed to CLA Online Communication Specialist Krista Smith.